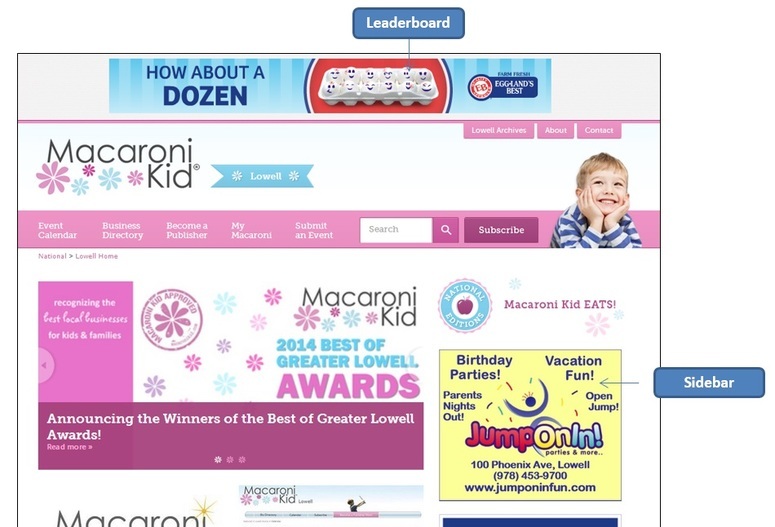 Leaderboard or banner ad: 728 wide by 90 high (pixels). One location. Up to 3 ads rotate. Sidebar ad: 300 wide by 250 high (pixels). Ads rotate on the right side with every page view. Sidebar ads viewable on most pages of website and also in email newsletter.